Integral carbon road bike stem/handlebar without screw connections. – Integral flat carbon road bike stem/handlebar without screw connections. – Rubber coating for better grip and ergonomically shape. Carbon handlebar ergonomically, lowered to the outside. 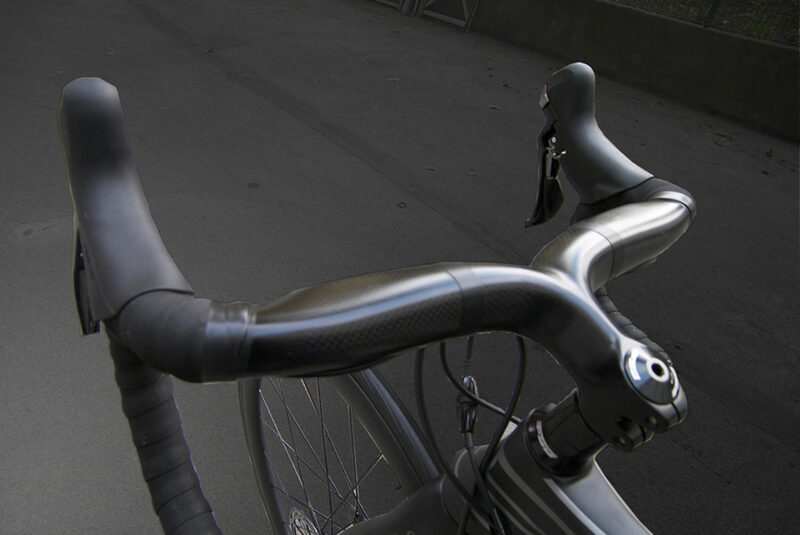 The carbon aero road race handlebar system with integral extension. Ideal for multi sport bikes. One of the lightest aero set up in the market.